Phene Street is a uniquely beautiful dusky grey-blue purple nail polish shade. Part of the Woodlanders AW15 collection and named after the street where Dylan Thomas famously frequented the Phene Arms and no doubt pondered the 'sloeblack, slow, black, crowblack, fishingboat-bobbing sea', as he peered into his ale. Enjoy a splash of Phene Street purple nail polish and perhaps the beauty of this colour can help inspire your own poems. After ensuring the nail plate is perfectly clean of old nail polish, any oils or other impurities, apply Prestige Base Coat Nail Polish in long strokes, from cuticle to nail tip, until the whole nail of each finger is covered. 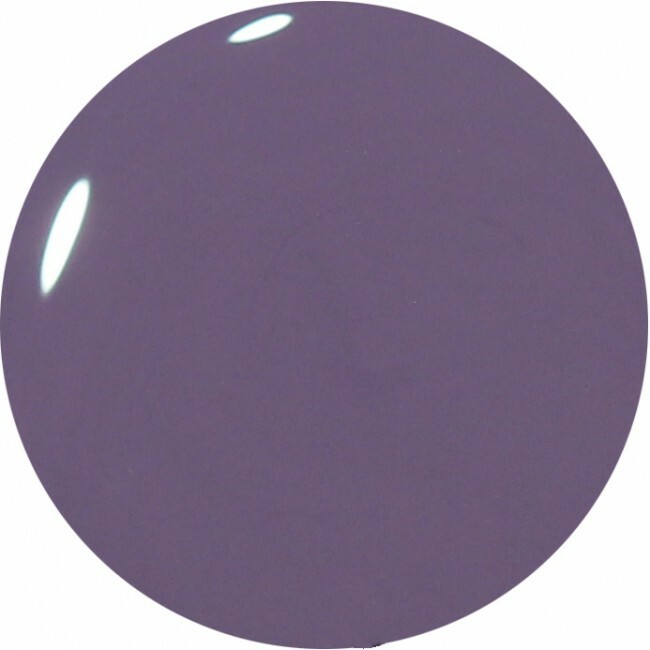 When this is dry, paint the first of two thin coats of Phene Street in the same manner, ensuring the very edge of the nail is also coated with this beautiful purple nail polish, thus locking in the colour. Finally, apply a generous coat of Prestige Top Coat Nail Polish, covering the whole nail, including the very edge of the nail tip, to help ensure a chip-free nail polish salon-shiny finish is achieved. You may also like Lamont Road, which is lighter purple colour, or Blackcurrant Vamp, a much deeper purple gloss, and which make lovely complimentary nail varnish sets. 12ml of luxury, more healthy dusky grey-blue purple nail polish.